Victor S. Cheng has nearly two decades of experience gained in the United States and Taiwan. He is proud to have been licensed by the Taiwan Ministry of Justice in 2017 as the first and the only attorney in the world who can practice both U.S. law and Taiwan law in Taiwan. 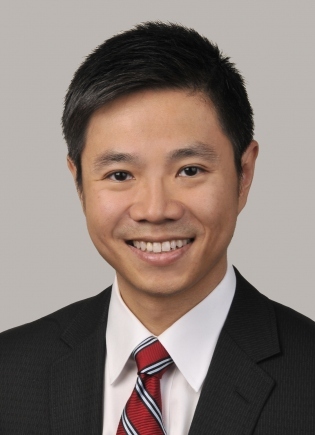 Mr. Cheng has significant experience with complex legal matters, especially those with a cross border element. With years of experience in U.S. and Taiwan, Mr. Cheng has the in-depth knowledge required to offer strategic and cost-effective solutions to clients on a wide range of international matters. Mr. Cheng’s career is unique in the entire legal industry. He is admitted to the bars of Taiwan, California, and New York. He is one of a few attorneys with combined legal experience in California and Taiwan. Mr. Cheng has served as an expert consultant and testifying witness for matters involving Taiwan law and U.S. law as well as matters involving legal documents written in Chinese and/or English. Mr. Cheng has had extensive experience in handling disputes in U.S. He has been extensively involved in all aspects of civil litigation ranging from two-party contract disputes to complex, multi-party controversies in cases involving corporate disputes, contract disputes, cross-licensing, indemnification, extraterritorial enforcement, and intellectual property-related issues. He also regularly assists U.S. companies with prosecuting extraterritorial legal actions against companies based out of Asia. Mr. Cheng also has significant experience in assisting companies on a wide range of business and commercial matters, with particular emphasis on international sales and distribution, joint ventures, and corporate transactions. He advises foreign companies on doing business in Taiwan and also advises Asia-based companies on outbound investments in the U.S. Mr. Cheng leverages his vast cross-border experience and cultural awareness to structure innovative transactions that control risks and maximize business opportunities. Won multi-million award in breach of contract arbitration. Continued to represent client in all post-arbitration motion practice and collection. Won nearly $2 million summary judgment in joint venture dispute and breach of fiduciary duty litigation. Obtained substantial settlement payment in breach of international sales contract and commercial code litigation, after aggressively litigating “alter ego” claim. Performed lead role in several concurrent disputes and lawsuits in the U.S., China, Taiwan, and the British Virgin Islands with issues involving allegations of breach of fiduciary duty, embezzlement, unfair competition, trade secret misappropriation, and tax avoidance. Obtained favorable global settlement for clients. Successfully defended software copyright infringement suit. Obtained favorable pre-trial settlement for all clients. Represented U.S. companies in resolution of commercial and intellectual property disputes with Asian manufacturers and suppliers, including enforcement of a California state court civil judgment in Taiwan and extraterritorial litigation in Taiwan courts. Advised a Taiwan publicly-traded company in a multi-million-dollar strategic investment in U.S. to foster the development of intellectual property. Worked on relevant legal papers, such as convertible preferred stock documents and a master software development and license agreement. Represented a major computer products company in asserting its U.S., Taiwan, and China patents against numerous Amazon sellers around the globe, resulting in removal of dozens of infringing products from Amazon.com. Advised Taiwan and China companies on matters involving U.S. inbound investment. Assisted one of the largest plumbing fixture manufacturers in China in acquiring a U.S. brand owner and distributor through negotiated stock purchase transaction.